We are on the hunt for talented female actors, entertainers, dancers and performers who have a passion for having fun and entertaining children! 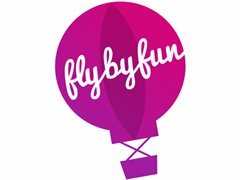 Fly By Fun is Australia's most loved children's entertainment company having performed over 20,000 events/parties since 2008. We are rapidly growing and require talented entertainers to join the fun and help us create more happy memories for children. What type of work do we do? -> Private and corporate children's events and parties. -> All popular characters and children's themes. -> Working with Children Check. Apply now to learn more! !